Lotus CEO is sacked, Alfa Romeo 4C development is moving along, and Infiniti wants to take on the best of Euroepan luxury brands. Although automakers seemingly go on vacation around this time ever year, we&apos;re already seeing clear signs of what to expect when many new models premiere this fall. The Paris Motor Show will kick things off this September and for companies such as Lotus, things are very different now than they were two years ago at the previous French event. Fortunately, auto sales have been going strong for many months now and several new and exciting new cars are only a few months away from their debuts. Lotus CEO Gets Fired: A few weeks ago Lotus CEO Dany Bahar was suspended for suspicion of misusing company funds. No precise details were given, but it sounded like new company owner DRB-Hicom was taking the charges seriously. And now it&apos;s been made official: Dany Bahar has been fired effective immediately. Aslam Farikullah, a DRB-Hicom executive who&apos;s been running things at Lotus since Bahar&apos;s suspension began, has been named as the new CEO. We don&apos;t know yet how this will affect the launch of the new Esprit, but Lotus is still losing money. Alfa Romeo 4C Ahead of Schedule: According to a new report from UK weekly Autocar, Alfa Romeo is running ahead of schedule on the development of their all-new 4C coupe. The mid-engined, carbon fiber heavy concept made its original debut at the 2011 Geneva Motor Show and we&apos;ve been waiting for it to arrive ever since. 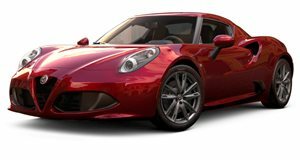 Alfa kept pushing the date back to as far as 2015 for the launch, but if this report is correct, the car could debut at the 2014 Detroit Auto Show. The 4C is important for the brand because it&apos;ll be used as the model to re-launch the brand in North America. Saab Lives (Kind Of): It&apos;s not all bad news for Saab fans after all. It&apos;s just been reported that the National Electric Vehicle Sweden AB, a consortium owned by Hong Kong-based National Modern Energy Holdings Ltd. and a Japanese investment group called Sun Investment LLC, has agreed to buy a majority of the now bankrupt automaker. In other words, they&apos;ve just bought Saab&apos;s $1.9 billion debt, but the actual price paid for the automaker was not disclosed. Yes, Saab lives, but they will now be an EV automaker. Their first "new" car will be an EV based on the next 9-3. No word yet on what will happen to the 9-5 and 9-4X. Infiniti Wants Big Sales in Europe: In their quest to take on the best European luxury brands, Infiniti has announced they have set a new European sales target for 2016. The goal is to achieve 100,000 in sales. That sounds quite aggressive considering that last year Infiniti sold just 12,500 units in Europe. Renault-Nissan CEO Carlos Ghosn wants to triple the brand&apos;s global sales to 500,000 by 2016 as well. Ghosn sees Turkey and Russia also vital to their success. Infiniti will also launch a new compact model, based on the Etherea concept, in 2014 to compete against the Audi A3 and BMW 1 Series. 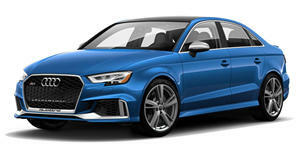 Audi to Launch A3 Sedan in the U.S.: Audi has just confirmed that the new A3 will also be built as a sedan that will be sold in the U.S. First shown in concept form at the 2011 Geneva Motor Show, Audi sees potential for a sedan version of their popular premium hatch and convertible specifically in the U.S. where sedans have always been more popular. In all likelihood, we&apos;ll see the production A3 sedan debut at the Los Angeles Auto Show this November and will go on sale sometime in 2013. Audi is already predicting strong sales for this premium compact sedan. But what we&apos;d really want is an RS3 Sedan.